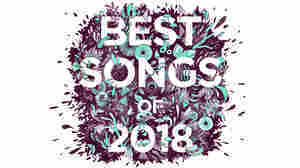 December 4, 2018  Even in an era when listeners have been primed to expect the unexpected, the best albums of 2018 are full of surprises: a cascade of discoveries, revelations and artistic rebirths. November 13, 2018  The Swedish pop star reflects on becoming friends with her body, using dance to wade through sadness and Honey, her first solo album in eight years. November 1, 2018  After eight years away, Robyn's new album Honey has fans asking where she's been. 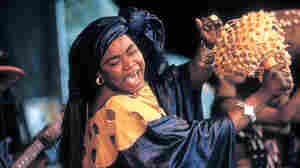 The answer, as the Swedish singer tells NPR's Ari Shapiro: dancing her way to emotional clarity. October 25, 2018  Robyn songs feel like crying on the dancefloor. But Honey is, at its core, about moving towards something freer, softer, more honest. September 26, 2018  Robyn teased an early version of the song in 2017. 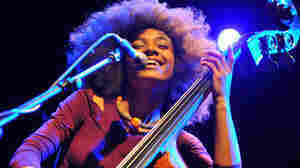 The final version of the title track to her forthcoming album, Honey, is warm, persistent and self-assured. August 23, 2018  An artist in control of her work, Robyn serves us a dreamy possibility beyond the rigid binaries and adapts pop's dance floor language into something that serves her own dreams. August 1, 2018  Robyn has a way of piercing pop music consciousness when she's away, but now the Swedish pop star is back. July 24, 2017  This list, of the greatest albums made by women between 1964 and the present, is an intervention, a remedy, a correction of the historical record. 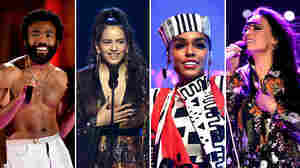 It rethinks popular music to put women at the center. September 21, 2015  The new host for NPR's evening news magazine joins All Songs Considered to discuss musicals, powerful voices and why Paul Simon's Graceland never gets old. May 27, 2014  On this week's show we roll the windows down with a wind-whipped, sun-dappled mix of rock and pop, including premieres from Bishop Allen and LP. May 22, 2014  The Scandinavian dream team unveils a mini-album that bookends dance-pop goodness with moody grace. All the way through, there's a palpable sense of freedom to the music. November 7, 2013  Soon-to-be London correspondent Ari Shapiro whipped up a playlist for NPR Music that's especially for commuters who travel by bicycle. Even though you should totally never listen to music and bike at the same time. May 15, 2008  Fresh Air rock critic Ken Tucker reviews two albums from two one-named singers: Madonna's Hard Candy and the self-titled release from Swedish pop singer Robyn. April 29, 2008  Blender magazine's Lizzie Goodman tests out the week's biggest new albums, paying special attention to releases from Portishead, Madonna, Robyn, and Santogold. 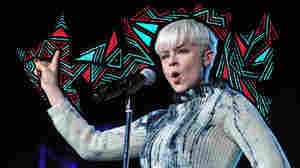 May 29, 2011  The Swedish dance-pop diva never stopped moving during a set full of Body Talk hits. 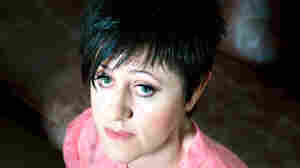 December 23, 2010  Fresh Air's pop music critic, Ken Tucker, picks the best music of 2010, including albums by Tracey Thorn, Kanye West and Arcade Fire. He also pays tribute to Kate McGarrigle, the Canadian singer who died of cancer last January. 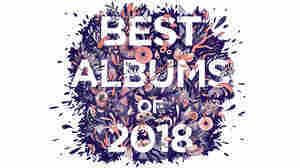 December 1, 2010  The list of our 50 favorite albums of the year includes Jason Moran, Janelle Monae, The National and more artists from M to R.
August 6, 2010  The Swedish singer says she almost quit music before figuring out a way to have more fun at work.